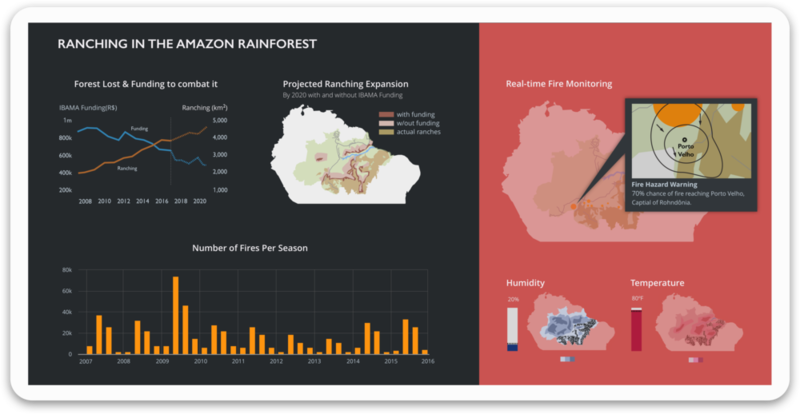 How can a dashboard invite action to reduce the serious casualty of ranching on the Amazon rain forest. 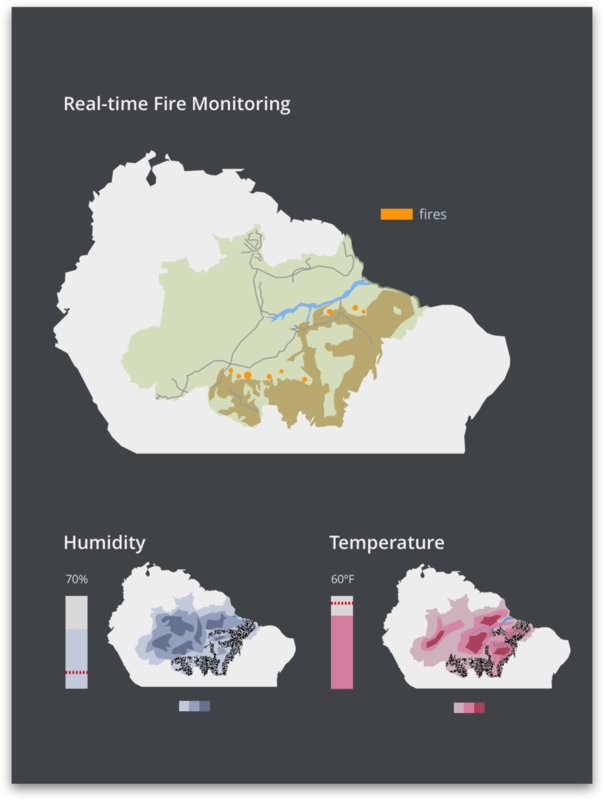 Today the Amazon rain forest is threatened by fires that have increased in intensity, and that can destroy the livelihoods of those who live there. In our research, we uncovered that ranching expansion, combined with drier conditions as a result of deforestation, is the number one great contributor to the threat of fire. We learned that the Brazilian Institute of Environment and Renewable Natural Resources (IBAMA) had great success in combatting deforestation, but has gradually lost funding as a result of recession. 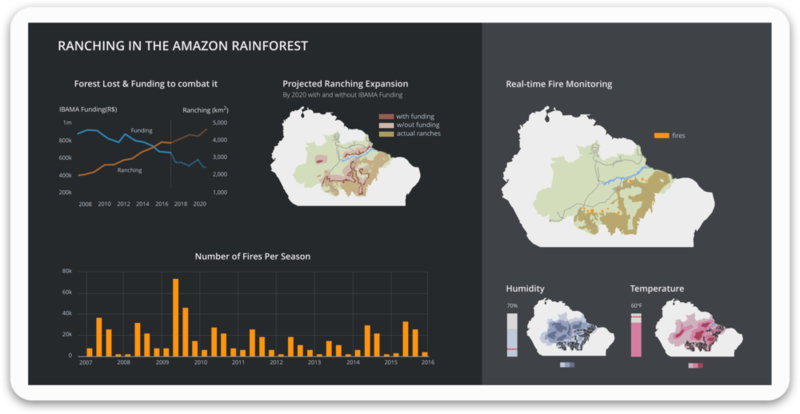 We created an ambient dashboard, which gathers the critical information and trends that can help inform policymakers' decisions regarding wildfires. A decreased funding for IBAMA, tampers with the organizations ability to effectively fight ranching in the Amazon rain forest. Most fires in the Amazon rain forest are man-made. They peak seasonally. Most fires break out near ranches. Humidity and temperature as two of the main indicators of fire intensity. We have included an alert system that warns against the potential damage to human lives, when fires become a potential threat to inhabited areas. With this prototype, we hoped to explore how data, when presented in a compelling way, can incite action. With wildfires raging across California in 2017, we hope that our project inspires further efforts to extract crucial data to preventing fires and present them in compelling ways.